In a single delegable step the OCULUS Pentacam® measures the entire anterior eye segment independent of tear film. From the high-resolution Scheimpflug images it calculates a motion-corrected 3D model. 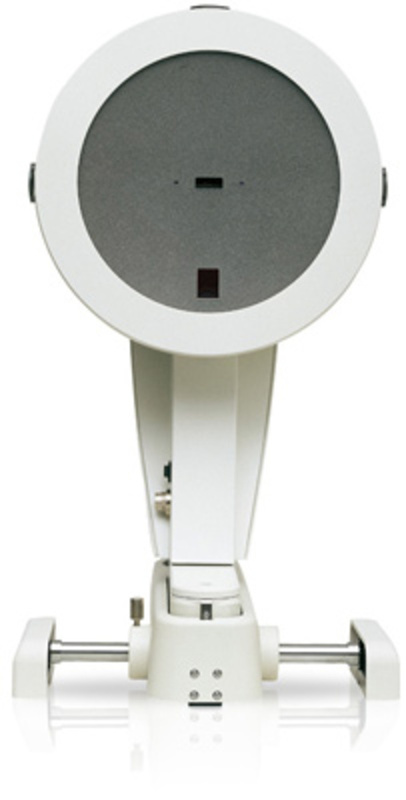 As the basis for precise keratometry, a prerequisite for IOL calculation, and for detection of ectasia and irregularities as well as wavefront calculation, the Pentacam® provides a complete description of the entire cornea (pachymetry as well as elevation and curvature data). Using blue light, the OCULUS Pentacam® makes opacities of the cornea, the crystalline lens and IOLs visible so that corneal diseases are detected reliably and cataract progression can be assessed objectively. The Pentacam® HR stands out by virtue of its bright optics, which make for extremely sharp, highest-quality Scheimpflug images.